Before LiveChat crossed my path, I spent almost 7 years working as a business analyst and 6 years as a journalist. It turned out that becoming a content writer was the best decision I’ve ever made. Now, on the LiveChat blog, I share my experience and knowledge about customer service, business psychology, social media and eCommerce. I’m also the author of Business Sidekick – LiveChats’ Podcast series helping to grow online businesses. Could you tell us a little about yourself and LiveChat? A funny thing about LiveChat is that it’s completely different than any other company. For example, when I met Mariusz for the first time (on a job interview), I was really surprised that the CEO of such a company can be such an interesting person. I was used to all those managers and directors wearing Hugo Boss, not really doing anything productive apart from attending to countless meetings and playing golf in their free time. And suddenly, I met this guy. He was full of energy and enthusiasm, with a clear vision of where the company is heading, not using this corporational jibber-jabber. He didn’t take a single look at my CV, we’ve ended up talking about traveling, he asked me to write a test article and I was hired a couple of days later. What do you think the most important part of building your brand was? The toughest and the most satisfying part of building our brand was building the LiveChat team. We started in a small garage and team spirit, positive attitude, eagerness to learn were the things we were looking for in our perfect team members. We didn’t look at people’s portfolios, degrees or experience, if we’ve seen that a person was mentality similar, shares the same passion to self-development and has a head full of ideas, we knew it was the perfect fit for the brand. Now, we hire almost 70 people and all of us have different personalities, but we all love working here, it’s our passion. We hope that it’s something that our customers can see at first glance. How do you maintain good relations with your audience/customer base? It’s all about being honest, transparent and helpful. We make our best to fit our app to our customer’s needs, we value their feedback and implement their ideas. Mariusz Ciepły and Szymon Klimczak, our COO, take a trip to the US every year to meet our customers, talk to them in the real world and learn about their needs. We also do our best to share knowledge with our customers. We make webinars, podcasts, constantly improve our knowledge base and write blog posts our customers find valuable. But the core of our business is our Support Heroes team. It’s a bunch of incredibly talented people who make their best to help every single person on a chat. It’s not easy as they work 24/7 and sometimes they chat with 5, 6 people simultaneously. But a great thing about them is that they stay positive and helpful! 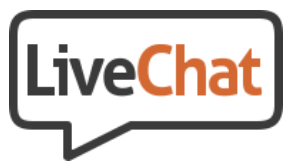 If you had to pick the top three reasons for the success of LiveChat, what would they be? What made you decide to monetize your idea? What was the first step? It was simple: we knew that live chat is the communication tool of the future, so we decided to make the best application that’s out there to make our customers happy. We believed in our success right from the start. We don’t expect you to spill any trade secrets (unless you want to, then by all means. . . ), but what’s the next big thing for you? I can only say that we’re carefully watching technological trends and currently we’re working on the new version of live chat that will revolutionize customer service! Do you believe there’s a formula for success on the internet? It’s all about automation and business scaling. For example, our sales process is fully automatic. You can setup a trial, buy our product and start using it without the need to get in touch with a salesperson. It translates into a seamless customer experience. When it comes to scaling, it’s essential to do it right. We’re using all new solutions helping us to be more productive and it’s the reason why our company is hyper profitable. To give you an example, each of our Support Heroes is responsible for dealing with over a thousand customers! Do you have any advice for novices entering the online world, any rookie mistakes to avoid? There are so many mistakes you can make, the possibilities are endless. But is there a reason to avoid them? If I didn’t make all my mistakes, I wouldn’t have learned so much. There is no success without failing, I know it sounds like a cliche, but it’s very true. So I have only one advice for all internet rookies: don’t be afraid to make mistakes and don’t feel bad about them as they are an integral part of learning. We like to wrap up with a bit of fun, so . . . If you could get a guest post from anyone, living, dead, or mythological, who would you tap for it? Nikola Tesla! I know that Mariusz would love Henry Ford though.